The National Mountain Biking Survey is now open and seeking the diverse opinions of America’s mountain bikers to understand their habits, access to trails and levels of engagement. 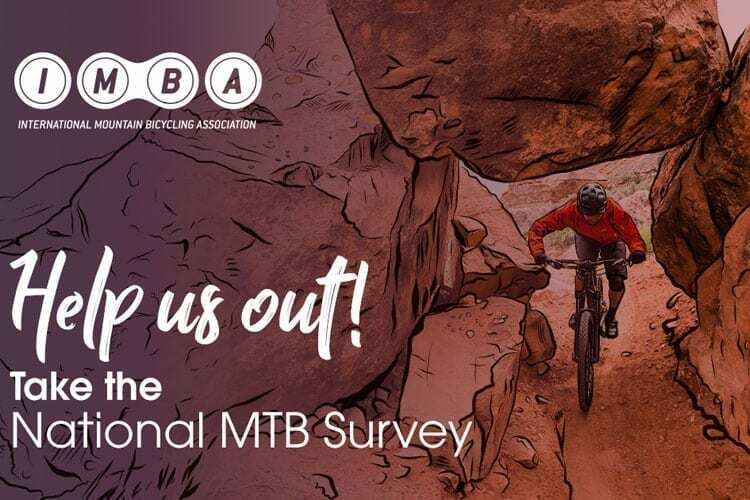 Between August 20 and September 20, anyone and everyone who rides a mountain bike—from the professional to the casual—is encouraged to take the survey. Everyone involved in mountain biking, from individuals to companies to media, is encouraged to share the survey with their networks. The results will help inform national mountain bike advocacy efforts as well as enlighten anyone working to gain, grow and promote mountain bike access. The survey is a joint effort among the International Mountain Bicycling Association (IMBA), the SRAM Cycling Fund and Ohio University. The survey is open to U.S. residents ages 18 and older. The survey may only be taken once per person and answers will be anonymous. Those taking the survey may choose to enter to win a SRAM GX drivetrain upgrade. Answers will remain anonymous as they will not be matched up to personal info. Much is known about the habits and priorities of passionate and engaged mountain bikers—those who read mountain bike media, belong to local advocacy groups and take mountain bike-specific vacations. While their opinions are critical to the success of this survey, so, too, are the little-understood experiences and desires of those who ride only occasionally and casually, and those who might not even ride at all but are interested peripherally in mountain biking. Understanding what might engage more casual riders in mountain bike volunteerism and providing them their desired experiences is critical for both advocacy organizations and land managers. IMBA will own the data and use it to guide its efforts. A high-level summary of the findings will be presented at IMBA’s 30th-anniversary celebration in Bentonville, AR, October 26-28, and be made available online via IMBA.com after that date.